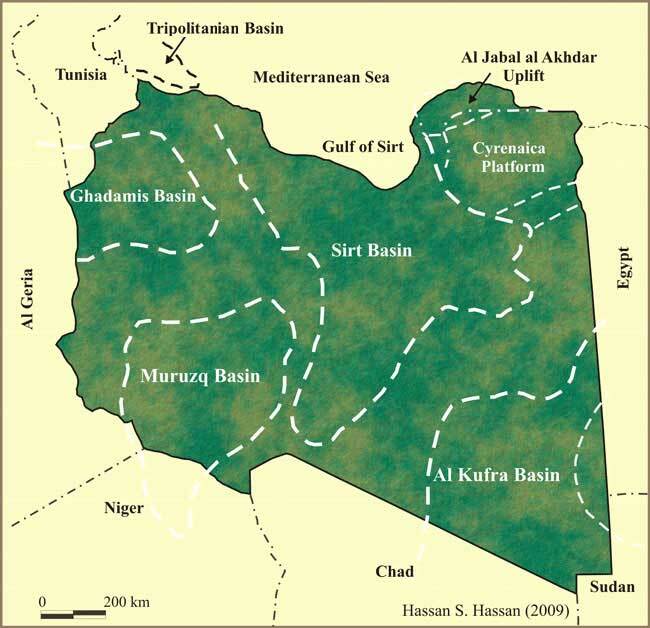 The Murzuq Basin is situated on the southwest of Libya and was initiated during the Paleozoic. it forms a large intraCratonic basin, straddling the boundaries of Alger and Che asin is filled with sediment ranging in age from the Cambrian to Quaternary. It has a maximum total thickness of more than 3000 meter in the central part. 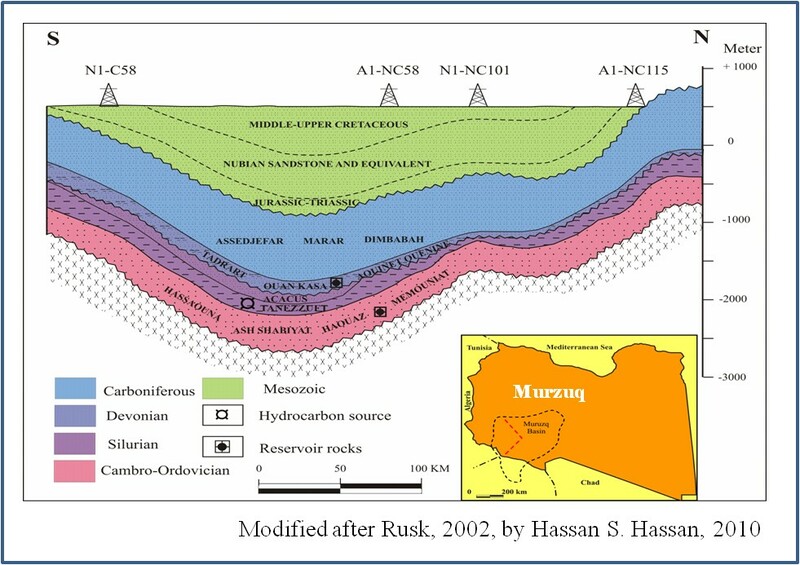 The potential reservoirs in Muruzq Basin are mainly in siliciclastics that include the Memouniat, Hawaz, Acacus and Tadrart Formations. The Ordovician sandstone of the (Lower-Middle Ordovician) and Mamuniyat (Upper Ordovician) Formations have reservoirs with over 5 billion barrels of oil equivalent in more than 50 separate Accumulations across a broad region from the Murzuq Basin of SW Libya to the Ahnet Basin of central Algeria. The Silurian Tanzuft Shale is the major stratigraphic target in terms of source rock in southern Libya and Algeria. The other possible source rock is the Devonian Uennin organic-rich shale located at the Basin center (Meister et al.,1991).